It’s a very British thing, to apologise in reaction to something. Even if it’s someone else’s fault. 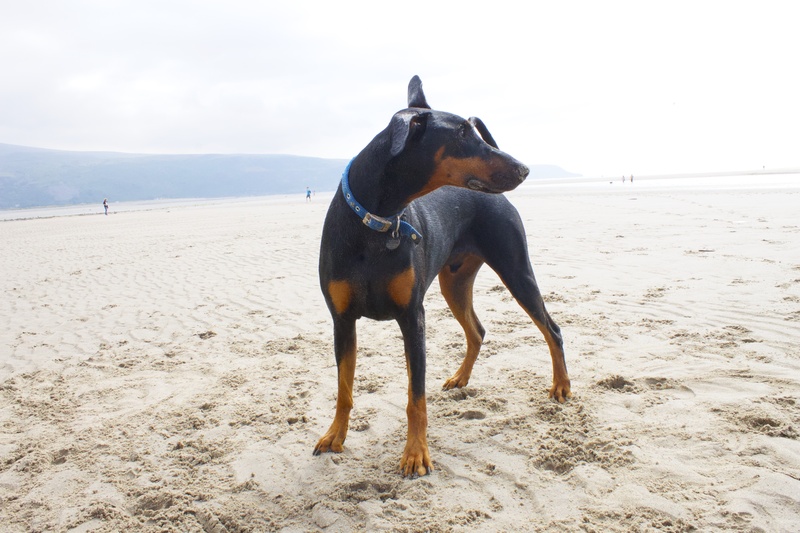 Recently I’ve found myself constantly apologising for owning a Dobermann. Sorry his size intimidates you. Sorry his loud bark scares you. Sorry you got bitten as a child and have a phobia. Sorry he just wants to play with you dog. Sorry he ran fast past you. Quite frankly, I’m sick of it. I won’t apologise anymore. When a small dog off the lead comes running up to us and barking, the owner either doesn’t say anything or laughs as they think its cute. When a small dog on a lead growls and barks as we walk past on the footpath, still nothing. Why, just because of my dogs size, is it any different? Would you think differently if I told you Dachshunds are one of the most aggressive dogs? Closely followed by Chihuahuas and Jack Russell’s. Not so cute now eh. Quite often we are faced with dogs off the lead whose owners don’t even try to get them under control. Lupo has been bitten twice by smaller dogs like this. There are aggressive dogs we have to walk past who rush their gates and snarl at him. But you can bet if Lupo did any of this to their small dog, someone would have something to say. So from now I’m not going to apologise for my dog being a dog. I will keep him under control and always put him on a lead when another dog on a lead approaches, but we can’t say sorry for other people’s phobia’s or issues. He will bark as a signal to play and it will be loud. He doesn’t do quiet. He will run as fast as the wind as he’s a high energy breed, it’s in his nature. And if he slobbers on you, it means he likes you. Take it as a compliment and keep walking. To the woman who told us this morning to keep him on a lead as his bark scared her(!) we say no thanks. That’s your issue and we won’t say sorry anymore. I know how you feel! If we walk our dog Sasha who is a Husky, we’ve had small dogs bark at her. The once our neighbours must have been dog sitting a small dog… they usually have a Labrador and him and Sasha fine with each other. None of them bark or anything but this little dog just kept barking every time we let her out the back… before we knew it this little dog comes rushing into our garden through our hedge and full on attacked ours. Sasha snapped and the dog ran off! I love dogs of all shapes and sizes but the owners of little ones get a way with things just ebcause their dog is small… :\. Good on you! Let your dog be a dog and have fun :).